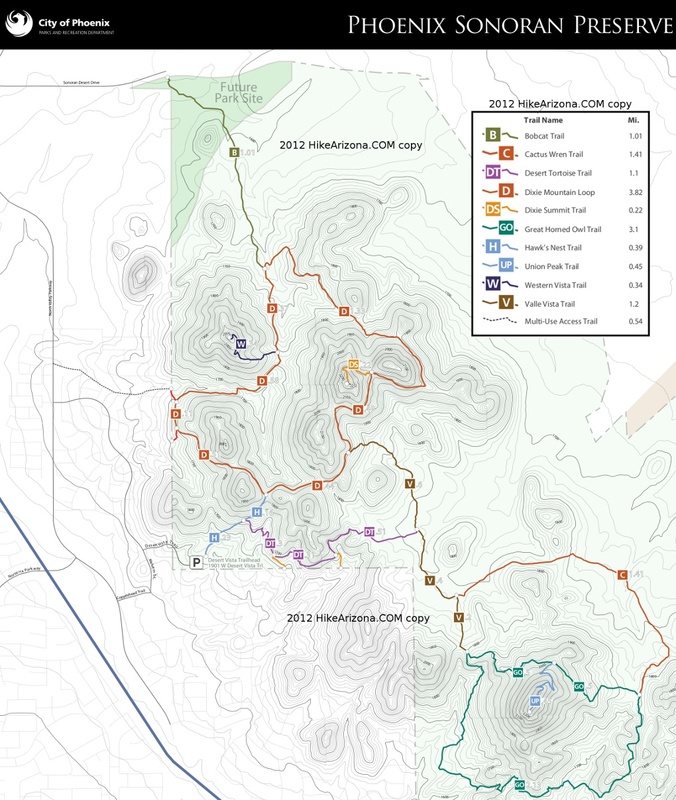 Desert Tortoise Trail - Sonoran Preserve is a 1.11 mile one way hike with 131 feet accumulated elevation gain. Located 13 miles north-northeast of Glendale Arizona. The trailhead is car accessible. March and November are the best months to enjoy this hike. This trail begins .25 miles from the Desert Vista Trailhead via Hawk's Nest Trail. 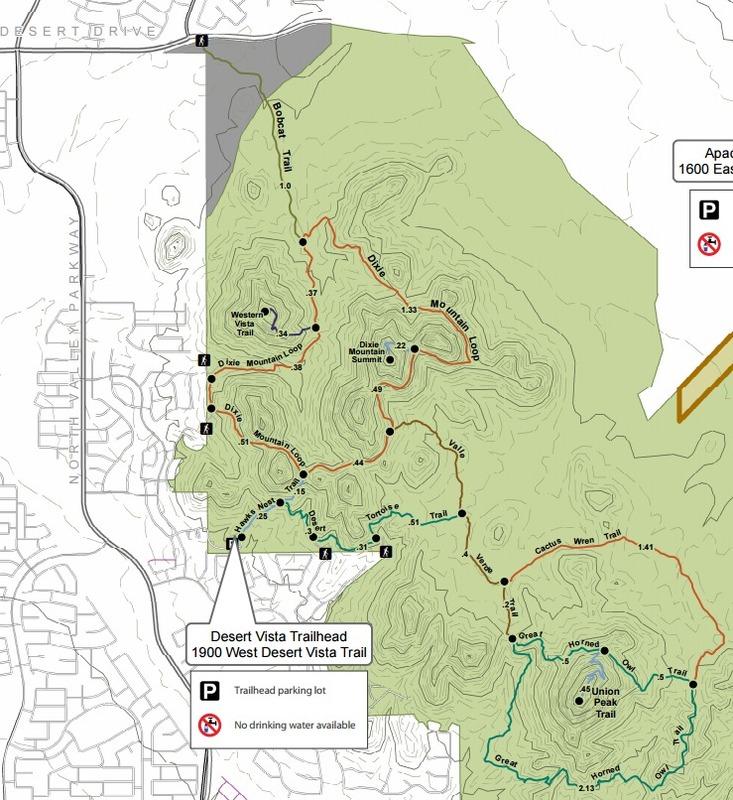 The trail can be used as the southern leg of a 2.3 mile loop by heading west to the Valle Vista Trail, turning north on Valle Vista Trail then heading east on the Dixie Mountain Loop back to the end of Hawk's Nest Trail which returns to the trailhead.